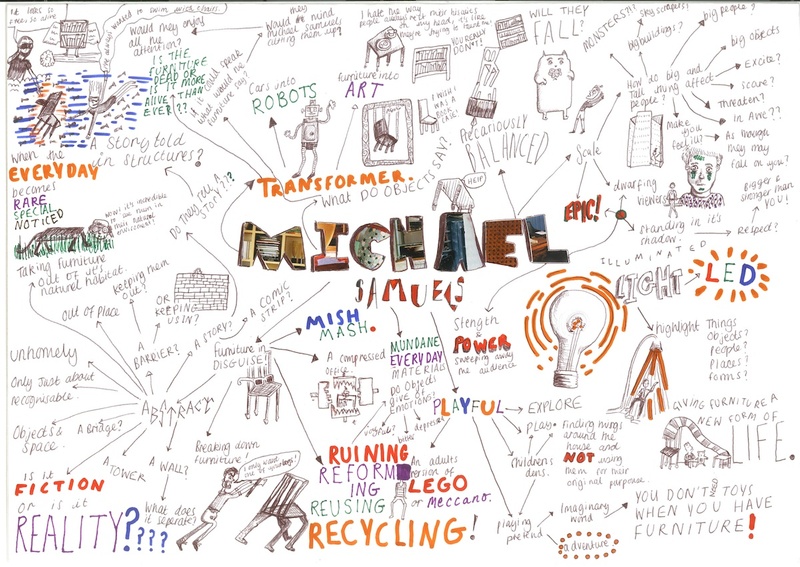 The new exhibition at Spacex opening this Saturday, July 28th, is This was Tomorrow by Michael Samuels. Bloggers and tweeters were fortunate to get a preview of the work earlier this week. Samuels' work has a fun quality and incorporates bright colours and integral lighting - although pieces in the current show are a bit more subdued than previous ones. 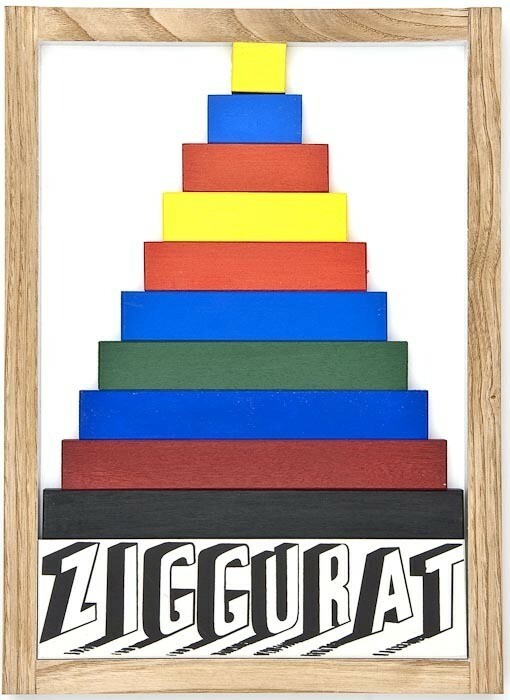 His works have evolved over time from work incorporating miniatures to stacks of reconstituted furniture with the look of highly individual but slightly unstable robots. All the pieces in this exhibition are constructed from recycled furniture (Formica and G Plan) and objects from the 1980s (habitat lamps, eight tracks and speakers) and have a distinct architectural dimension. For me, apart from nostalgia, they evoke influences ranging from the Memphis group objects of the 1980s to Mondrian and Robyn Denny's work in the 1960s. Although the works appear improvised, they are carefully crafted. 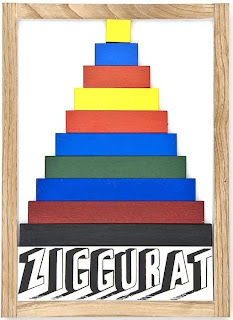 Samuels uses skills similar to those employed by another of my favourites, Joe Tilson, and also owes something to the Constructivists. The G Plan furniture itself evokes memories from a previous time. For me, G Plan will be forever associated with the Harrison Gibson tower store in Ilford (which also housed the Room at the Top club) and fights outside with local skinheads. I think it will spark memories for most people - even if it's only memories of gran's furniture. I'm slightly embarrassed to say that I still have a couple of Wharfdale XP2 speakers, as featured in the main work here, doing service in my living room. The largest piece is a reconstructed behemoth sideboard which fills the main gallery. Strangely, Spacex have covered the windows, which does show off the lighting effects better but also gives the work a slightly menacing feel. In the corridor there are two smaller works hanging on the wall. 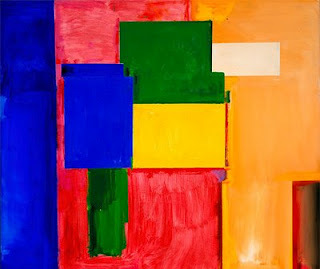 These are perfectly crafted pieces (and do make you wonder a bit about assertions that Samuels' work is spontaneous). The three pieces in the second gallery space are of an intermediate size and, because this gallery has no natural light, throw shadows and coloured light across the walls. I particularly liked the piece entitled metronome, which represents the pendulum and its horizontal motion with frames arranged at right angles. The works have a nostalgic quality but, with their orange & blue clamps, clever use of coloured panels - reminiscent of Hans Hofmann's push/pull stuff - and architectural style, they are also elegant abstract constructions. The Spacex blurb says that Samuel's practice "can be characterised as a form of contemporary bricolage. He breaks down the furniture to a point where it can no longer be identified for its intended use, thus heightening the tension between the function of the objects and their immaterial value." Fair enough. In all, this is an exhibition which can be enjoyed on a variety of levels and everyone can find something to take away. It's a satisfying exhibition that will make you smile. 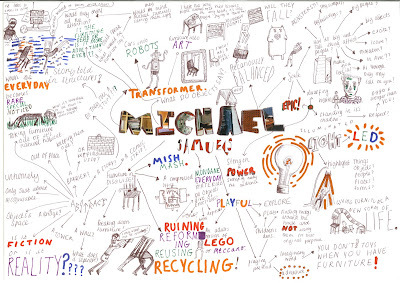 Meanwhile, you can ponder on the terrific mindmap (above) produced by Rachel Sved during her work experience placement at Spacex - And at Jez Winship's Sparks in Electrical Jelly blog you can read a thoughtful analysis about more of the roots and influences of Michael Samuels' work. The exhibition runs from 28 July (3-5pm with introduction by the artist) and then Tuesday to Saturday until September 15th. 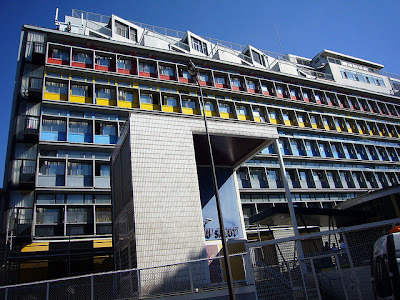 Finally, as a postscript, I would just recommend a couple of related items: This post from the Voices of East Anglia blog about brutalist architecture from the 1950s and 1960s (from which comes the above photo of Le Corbusier architecture in Paris). I would also recommend the book shown below about Memphis objects, furniture and patterns, which has some great colour illustrations and is available relatively cheaply secondhand in paperback. 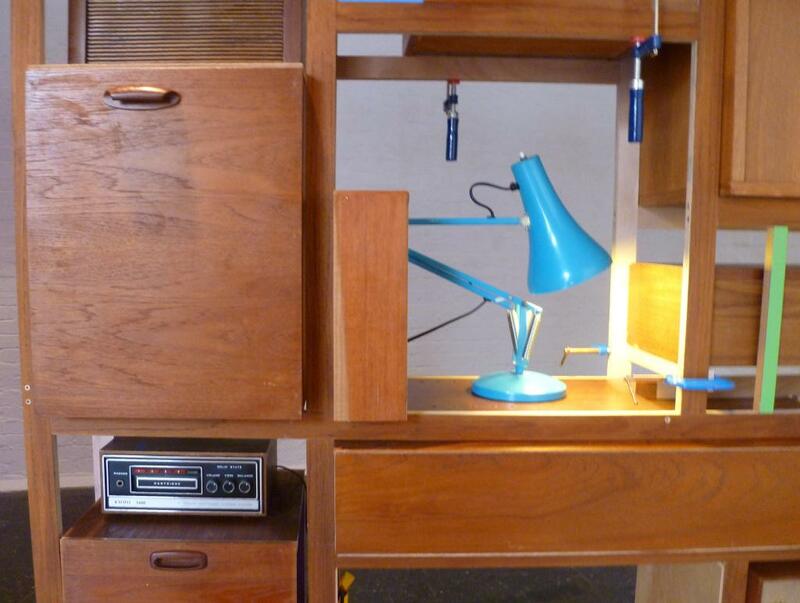 Some true design classics from the 1980s here. 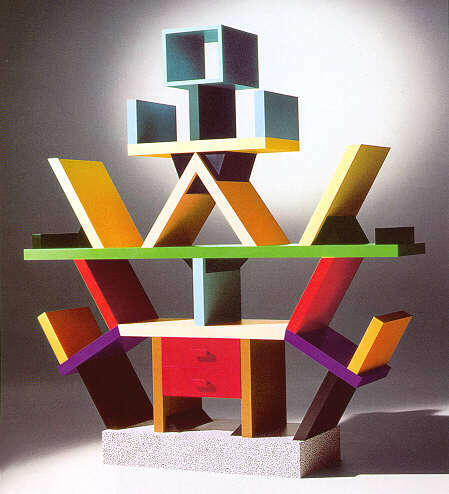 Examples of Memphis Group work can also be viewed online here. So sorry I couldn't make it - it looks interesting stuff though I can't quite forgive him for chopping up the G plan furniture which I like in a genuine, non-ironic way. Like the two small wall pieces with their light strips best.